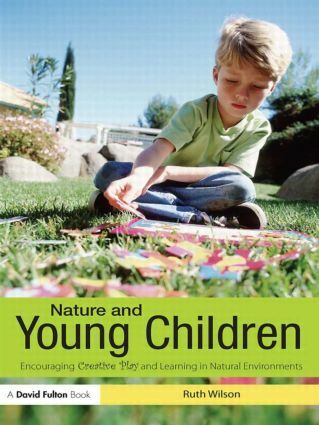 From adding richness and variety to learning, to redesigning a playground, this highly accessible text will provide early years practitioners with a wealth of ideas on how to foster creative play and learning in the outdoor environment with a focus on interacting with the natural world. Nature and Young Children contains many simple ideas on the type of materials that can be added to encourage observation, exploration and dramatic play, as well as guidance on what early years practitioners can do to help children meet early development and academic goals through outdoor learning activities. dealing with fears, safety and comfort issues. Presented in an effective way to develop environmentally responsible attitudes, values and behaviours, Nature and Young Children is recommended for all early years practitioners and students.